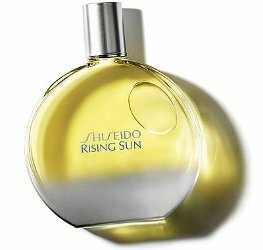 Shiseido has launched Rising Sun, a new 'luminous' and 'energizing' fragrance that can be worn in the sun and promises a 'refreshing, invigorating' aromachological effect. The notes include lemon, mineral marine accord, ylang ylang, rose, jasmine, coconut, plum, musk and cashmeran. Shiseido Rising Sun is available in 100 ml Eau de Toilette. Lol @ “can be worn in the sun”. Supposedly you are not supposed to wear some notes, esp. citrus, in the sun. I always do and assume most other people do also, but who knows…and while I’ve never heard of anyone having a problem, maybe I just don’t hear about it. Oh no! The dreaded cashmeran……why do all lists of ingredients sound the same? Yeah, at this point, I would leave cashmeran out of my list of notes if I were writing up the PR.